In order to improve our software's Russian translation, we are looking for a Russian translator. Why update to Banana Accounting 9? Why upgrade to Banana Accounting 9? Banana Accounting 9 has been nominated among the Top 20 most popular accounting software. 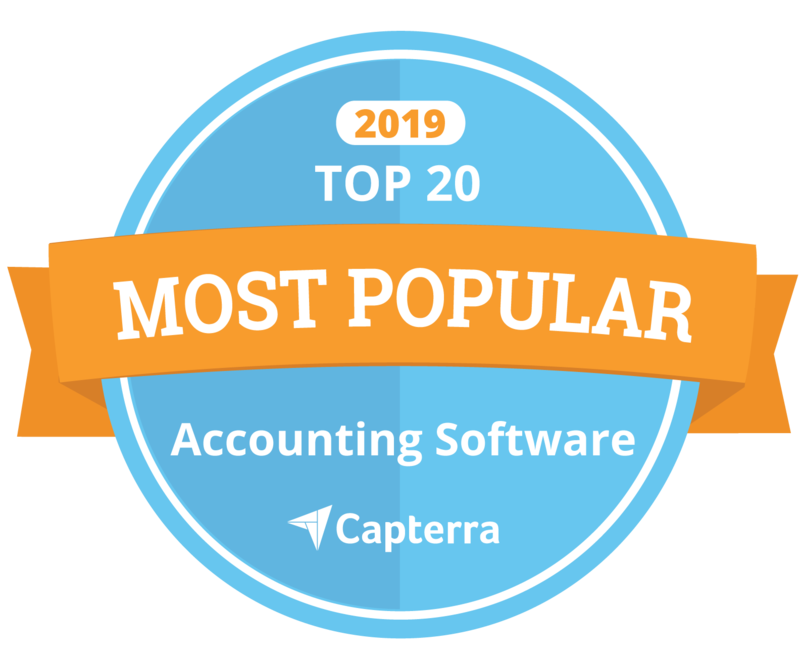 The Top 20 ranking was published by the famous Capterra portal, a world leader site providing resources to those looking for software for their business. We recommend that you visit the End of the Year closure and New Year page, which reminds you how to proceed with year-end operations. You will also find how to start recording immediately in the new year, even if the previous year's accounts have not yet been closed. Banana Accounting was developed by focusing on the user, his needs and expectations. We wanted to create an accounting tool that was both professional, understandable and easy and fast to use. Read how Banana Accounting applies, as widely as possible, the 10 usability heuristics for user interface design. GIFs are not just for memes or messaging apps anymore. Companies like Slack, Invision, GitHub and others are increasingly using GIFs to showcase their user experience, improve their documentation, highlight new features or even demonstrate how to use their software or app. Banana Accounting's users can rest assured: in case of doubts, errors or problems, the solution is just a click away. Banana offers an extensive online documentation with simple explanations and explanatory images. There is also a practical search box where you can enter the keywords of the desired themes. We have created a video tutorial to present Banana Business Plan. This very interesting feature will enable the financial and economic planning of your business. Planning is very important for any company, especially for Startups that have to overcome initial difficulties related to paving the way for business, comprehend and anticipate the various scenarios that will arise and ensure the liquidity available on which they may count. The new version 9 of Banana Accounting has been successfully launched, and is now available wirh all authorized online and offline retailers. For those who manage Swiss VAT, the new version is strongly recommended as from January 1, 2018, as rates have changed and therefore the user must adapt the VAT Codes table. Unlike previous versions that don allow you to update the VAT table, Banana 9 also allows you to obtain the facsimile of the VAT reports for the 4th quarter 2017 and those of 2018..
Have you already discovered the Apps menu? If you are unable to locate the command for the Swiss VAT report, after switching from version 8 to 9, you probably have not yet had a look at the new apps menu. The command to access the new forms for VAT reporting are not located in the Account1 menu but in the new apps menu. Give it a browse to discover what other possibilities the new apps menu has to offer. It is mandatory In Switzerland to record the hours worked (Federal Labour Law, Article 46 and Ordinance 1 on the Labour Act, Article 73). The Time sheet utility, integrated in Banana Accounting 9, is free of charge for everyone. It is with great pleasure that we are able to announce that the test version (Beta) of Banana Accounting 9 is made available to all users, so everyone is able to try it out for free until April 30th and return to us with their impressions and comments. This version is the result of 3 years of work, that took place in close contact with our users, who (through their involvement with the Experimental version), had the opportunity to try out the new features while they were being developed and returned some very valuable advice and comments to us. In order to strengthen our impact on the international market, we are looking for country specific product managers. The objective will be to adapt Banana Accounting's offer to a specific country. The beta version of the Excel Reports add-in for Microsoft Excel 2016 is available. The add-in allows you to create custom reports in Excel by retrieving data directly from Banana Accounting and keep them easily up to date. As of January 1, 2018, following the popular vote of 24 September 2017, new VAT rates will enter into force in Switzerland. The Federal tax administration has announced that it is preparing the necessary information. Postfinance just informed all its users that, from October 10th 2017, electronic account reports will be delivered in the new camt.053 (version 4) format. Up until now they were issued in the camt.053 (version 2) format. We guarantee all our users that Banana Accounting 8.0.7 is compatible and accepts the new camt.053 (version 4) format. If you have installed another version of Banana 8 you can update for free to the version 8.0.7 by downloading it from our download page.